I recently took a gamble and bought these three rings off eBay for $800 Australian dollars. They were advertised as genuine Georgian, rose-cut rings (the cluster and the row ring) I was just wondering if the style in your eyes reflects this also is it likely to be diamond? I'm now worrying it is paste. Well, it looks like either you found the deal of the century - or the rings are replicas. The styles of all 3 rings fit the Georgian period - including the cluster ring, the gold enamel detailed ring and the diamond row ring. And the rose-cut diamond shape was the diamond cut for the Georgian era. 1. The rings are way under priced. Really, really, really under priced. Keep in mind that Georgian era rings can be 200 + years old. Jewelry pieces from this time have great historical significance, regardless of their condition. 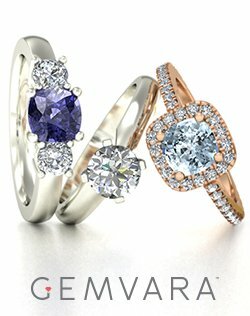 Georgian cluster rings - even those in somewhat poor condition - are usually valued at a price of at least $2,000 dollars. And Georgian cluster rings in excellent shape can reach prices of $5,000 to $10,000 dollars (or more) depending on the workmanship and diamond carat size. Gold enamel rings from this period, like the beautiful flower gold enamel ring you purchased, are usually priced at well over $1,000 dollars - and can reach prices of $3,000 or more if the workmanship is of high standards. (The use of diamonds though in the flower shape on the enamel ring is not something one would normally see on a Georgian piece of jewelry). Likewise with Georgian rose-cut diamond row rings. Even smaller ones in poor condition have a value of at least, on average, $1,000 dollars. So we have to ask. Why would an antique ring dealer let these rings - with a lowest potential value of at least $3,500 dollars - go for $800 Australian dollars (which is about $768 U.S. dollars)?? 2. The seller did not provide you with a certificate of appraisal or authentication. (Big red flag here). Personally too, I have an issue with a lot of the antique jewelry sellers/stores on eBay. (Take a look at our page Antique Wedding Rings to see our top recommendations on where to find genuine antique rings online, and please note that while we do recommend eBay as a resource for certified used diamond wedding and engagement rings - as long as the rings are certified by a reputable laboratory like the AGS or GIA - we do not recommend eBay as a resource for genuine vintage and antique rings). Many of the antique rings sold through eBay and eBay-like forums come with little to no information - and there is often no information about the seller either. What do you know about the person who sold you the rings? 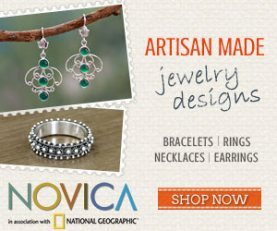 Is the seller a reputable antique dealer with experience evaluating antique jewelry pieces? 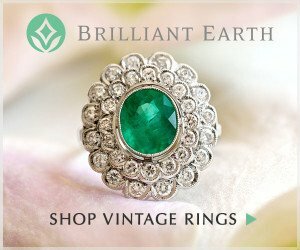 Why did the seller date the rings to the Georgian era instead of, say, the early Victorian era? What evidence did the seller use to date the rings? How does the seller know that the diamonds, and the rings for that matter, are authentic? Also, did the seller provide you with any specific info about the rings? For example, are the diamonds set with a silver on gold technique (common in the Georgian era and somewhat difficult to reproduce, especially for cheap replicas)? What karat of gold are the rings crafted with? 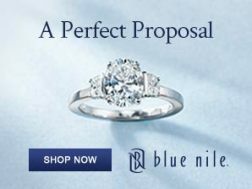 What is the approximate carat weight and color/clarity values of the diamonds? 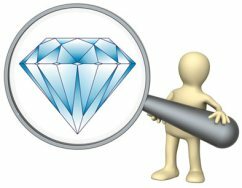 While diamonds in antique/vintage rings cannot go through the certification process - because then they would have to be removed - any reputable antique dealer will assess the set diamonds to determine an average value for carat, clarity and color properties. I have also seen antique/vintage pieces for sale on eBay for impossible prices - there is no way these could be authentic pieces. 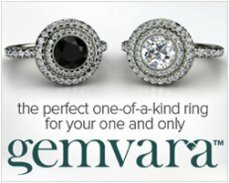 Just the value of the metal and diamonds used in the rings would far exceed the prices they are listed at. And I truly believe that these sellers, especially the ones who are selling antique jewelry pieces in lots or by groups for incredibly low prices, are really marketing their wares to other dealers interested in the replica/fake antique market. It would be a bit like finding a market where thousands of highly valued historical artworks by famous artists like Monet or Jackson Pollock could be found for just a few thousand dollars - and for sale in groups of two or more. At some point you would probably ask yourself if you had accidentally stumbled into a large market that specialized in dealing with fake antique artworks. And while from the pictures these rings look authentic - and in excellent condition (though it is difficult to tell the condition from the pics, but from where I'm sitting they look pretty good) - the fake antique jewelry market is very good at creating realistic replicas. Some fake antique rings are even built out of components of real antique rings. For example, diamonds are pulled out of antique rings in very poor condition that are then scrapped - and then the diamonds are re-set in a replica ring and the entire piece is sold as an authentic antique. 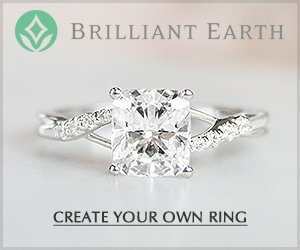 So, it is possible to have a fake antique ring that contains real antique diamonds. (Diamonds from antique rings in poor condition may not be worth much depending on their size, color, cut and clarity values). This is why your only protection as a buyer is to stick with well known reputable antique dealers who sell the rings with a certificate of authentication and/or a certificate of appraisal. Otherwise, there is no way that anyone, who does not have a strong and extensive education/background in antique markets, could tell the difference between a real ring and a fake ring. If the seller is an experienced antique dealer, why would the seller let the rings go for such an astonishing low price? If the seller is not an experienced antique dealer - and that is why the seller did not realize how highly valued these rings are - then how did the seller really know that the rings are genuine and not fakes? Either way, antique and historical rings at these prices doesn't make sense. So, what is the best thing to do from here? 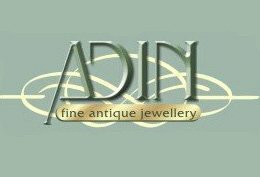 I highly recommend contacting the New Zealand Antique Dealers' Association and inquiring as to the best place near your location to take the rings to for an evaluation by a qualified antique jewelry dealer. 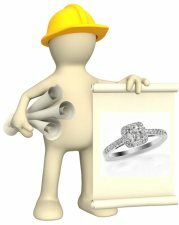 (Explain that you purchased the rings online and need them evaluated by a professional). 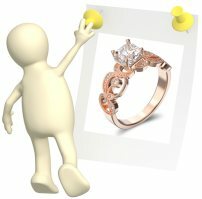 Ideally, it would be nice if you could find out if the rings are indeed authentic or fake in time to return the rings for a full refund (if the seller offered them with a refund option - which is another point to all our readers....never buy an antique ring online if a refund option is not available with the purchase of the ring). I wish I could offer you more positive advice, and I sincerely hope that maybe you did find the deal of the century! But the only way for you to know for sure is to have the rings evaluated by an experienced antique dealer. Please keep us posted on what you decide, and any results on the rings. We would love to know how this turns out! Comments for Just wondering - real Georgian Rings or fakes? The rings are in quite rough condition when I got them. The 2 "Georgian ones" have bent bands etc and are very dirty. I'm not worried about the mourning ring as it is fully hallmarked :). Thank you for all your information and help I will definitely get onto all that and hope I got the deal of the century. 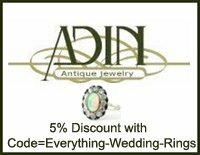 I removed your link to the auction listing for the privacy of the seller - but with this seller, as many others selling antique rings on eBay, I could not find any info about the seller or the seller's history/experience about antique rings. The pics of the rings don't show their poor condition. They look so nice in the pics, and the seller has them listed as "average antique condition with normal wear and tear" but from your description it sounds like they are way below average antique condition. *Just as an aside, rings even from the Georgian era can look almost new. 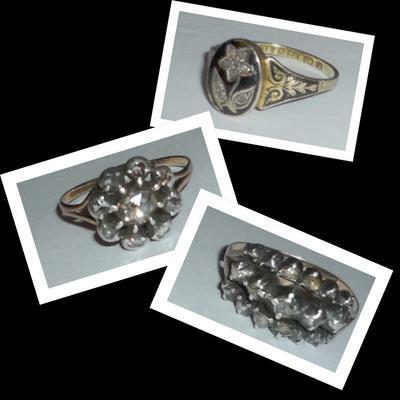 Many authentic rings, especially from the Victorian era, are in tip-top condition too. And, fake rings are often "roughed up" because dealers in these rings think they will look more authentic if they look beat up. But if the rings are real indeed but in very, very poor condition it is possible that these rings could be considered scrap rings - even with their historical significance - and therefore not worth overly much. I thought that all 3 of the rings were listed as Georgian until you provided the link - so, that makes more sense with the gold enamel ring which would be more typical of a Victorian ring and was listed as Victorian. 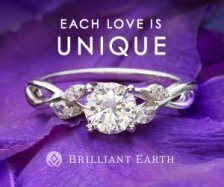 But keep in mind that even hallmarks can - and often are - copied onto fake rings. In fact, that is how some rings are ruled conclusively as fakes - because the stamps do not match up with the era the rings are supposedly from based on the metals/materials used to create the rings, or the stamps are supposedly from a country that did not use stamps during specific eras, etc. I also noticed from the listings that the rings listed as Georgian had silver settings, which would be accurate for that time. Although, the seller mentioned on one of the ring listings, "At least 9 karat gold" which is a huge red flag - it shows at the very least that the rings were not appraised or assessed properly at all. (And 9 karat gold was not utilized during this era). At any rate, it would still be a good idea to have the rings looked at by a professional - to assess their true value, history etc. and to confirm if the diamond's are real or just paste. (If the rings are real, but made with paste diamonds and in very poor condition then their value would be quite low). And do write again if you find out more about the rings!